The government-owned company has given notice that it plans to make a traffic regulation order (TRO) that would prohibit cyclists from entering or using the road in either direction from the B1230 North Cave Interchange to the exit slip road at Daltry Street Interchange, a distance of nearly 24km (15 miles). Although the notice setting out the details of the TRO states that objections should be received by Monday (19 February), Highways England has told Cycllng UK that it has now extended this deadline for a further 3 weeks until 12 March. 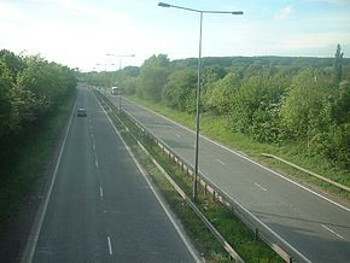 The national charity is objecting to the proposed ban, claiming that it contravenes Highways England’s own strategy and guidance. It is encouraging everyone who cycles or intends to cycle in England to register their objections but as Highways England will only accept objections submitted as paper copies sent through the post, it is urging people to register their complaints at www.cyclinguk.org/a63, which the charity will then deliver in time for the new deadline. ‘Cycling UK has been inundated with concern from the wider cycling community about the ban and what it means for cycling on England’s roads,’ said head of campaigns Duncan Dollimore. A spokesman for the charity said it had received over 3,300 responses by Monday morning.